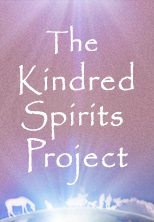 One key foundation for the kindred spirits project is consciousness. 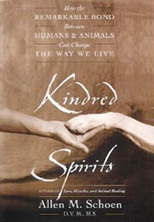 As the new year begins, I will be sharing different concepts on the foundations of the kindred spirits project. We begin the New Year with our last post on silence and nature. This new post explores what it seems like is one real key to the foundation for all life, consciousness. It seems like one of the foundations for the interconnectedness of all beings is consciousness. I just came across this website and dvd’s called “The Consciousness Chronicles”. The Consciousness Chronicles Video offers an introduction to great thinkers who are exploring consciousness based on the latest science.I have seen some of these scientists interviewed on other documentaries and they offer a great scientific basis for uncovering the basis of consciousness based on the latest discoveries in neuroscience, quantum physics, consciousness studies and the new biology. Wikipedia defines consciousness as “a term that refers to the relationship between the mind and the world with which it interacts. It has been defined as: subjectivity, awareness, the ability to experience or to feel, wakefulness, having a sense of selfhood, and the executive control system of the mind. Despite the difficulty in definition, many philosophers believe that there is a broadly shared underlying intuition about what consciousness is. As Max Velmans and Susan Schneider wrote in The Blackwell Companion to Consciousness: “Anything that we are aware of at a given moment forms part of our consciousness, making conscious experience at once the most familiar and most mysterious aspect of our lives.”” Wikipedia provides an excellent discussion of consciousness. I feel that consciousness is an integral part of the deepest connections between us and all other beings. I feel that consciousness is a key component of what I call my “The Trans-species Field Theory” Some “free range” thinkers, scientists and philosophers feel that there exists a field of greater consciousness that connects us all, a collective consciousness. It has also been called a “conscious commons”. Some cutting edge thinkers believe that a field exists that some call “the information field”. Scientist and inventor, Marc Newkirk has developed some cutting edge technology that he claims can assist us in connecting to this information field, what he calls “the lightfield”. His video discussion of this and his website provide some fascinating food for thought on this subject. Some spiritual traditions have called this field “the akashic record”. Ervin Laszlo, a leading systems theorist who was twice nominated for the Nobel Peace Prize is the author of “The Akashic Experience, Science and the Cosmic Memory Field” as he calls it. In this book, they state “20 leading authorities in fields such as psychiatry, physics, philosophy, anthropology, natural healing, etc. offer first hand accounts of interactions with a cosmic memory field that can transmit information to people without having to go through the senses”. There are numerous other references and thoughts on this field from all spiritual traditions. A fascinating discussion of consciousness and other deeper connections from the Tibetan Buddhist perspective is offered in a well written book titled “Mind Beyond Death” by Dzogchen Ponlop. What I find fascinating is that even though we cannot see, smell, touch, or have any physical evidence of this field, nowadays forward thinking, open minded scientists, physicists, physicians, biologists, etc. are all studying and documenting a field that our ancient traditions have taught about for centuries. It is indeed time to integrate the latest in science with the truths of ancient traditions. How does this relate to our dear dogs, cats, horses and other animal companions? There are many people who call themselves “animal communicators”. We will discuss these labels in a future post. I actually feel we are all animal communicators. We all communicate with animals, especially ones that we are closer to and that we have an emotional, loving bond with. Some of these levels of communication are through our fives senses, observing one another, touching one another, smelling each other, hearing each others voices etc. Much of this is nonverbal communication. There seem to be even deeper levels of nonverbal communication between us and animals. Some individuals have certainly developed their personal skills to a higher level that allows them to connect with animals in ways that others are not normally aware of. I personally have experienced, seen and known of different levels of communication that defy our commonly understood scientific basis of communication. Experience turns knowledge into wisdom. Once one experiences these other levels of connection, then the next step if one wants to go there, is to try to understand them. Extremist skeptics tend to just say brush them off as “voodoo” or pseudo-science”. How often in history has something been labeled magic, voodoo, pseudoscience, garbage,etc. and then only to be documented later on. What happened to Copernicus? Galileo? 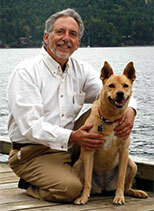 So dear kindred spirits, I invite you to share your thoughts and experiences in conscious connections with our animal companions. More to come….